A business dinner brought us to Marca downtown Whitby. That day it was cool and windy and we were seated right in front of the door. Our server said that if we got cold we could be moved once other tables were empty. That was very considerate of her! My friend had been there before and loved it. Being that it's downtown, there is street parking and a few Green P lots close by. It is quaint with mostly table seating and some booths along one wall. It also has a private room. The bar was large, beautiful and rustic. It has a quiet atmosphere, great for a romantic evening. Their wine list is fantastic. Wine lovers will not be disappointed. I chose the Carbonara and she went with the Calabrese Pizza. 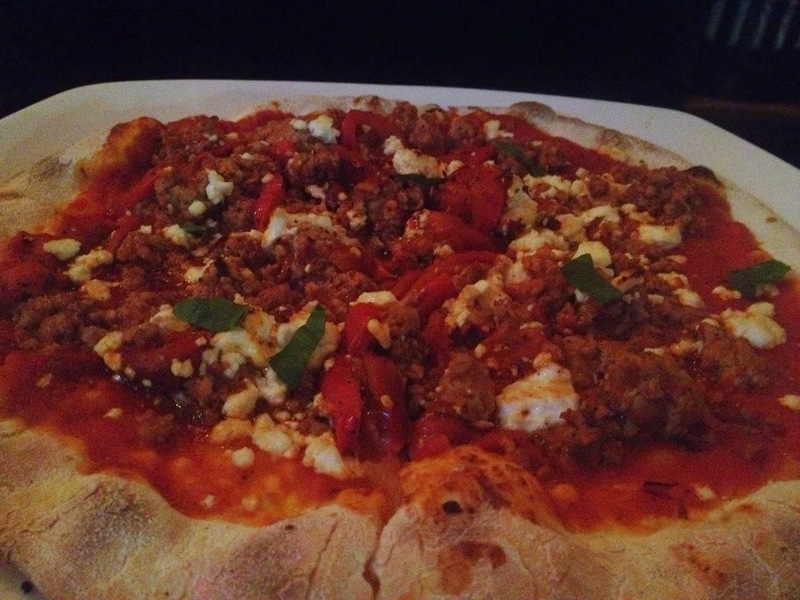 The pizza had fresh tomato and chilies, casalinga sausage, goat cheese and roasted red peppers. Wow. Talk about savoury! Who doesn't love all that?? She said she gets it every time. They didn't hold back on the toppings either. She asked for the rest to take home. 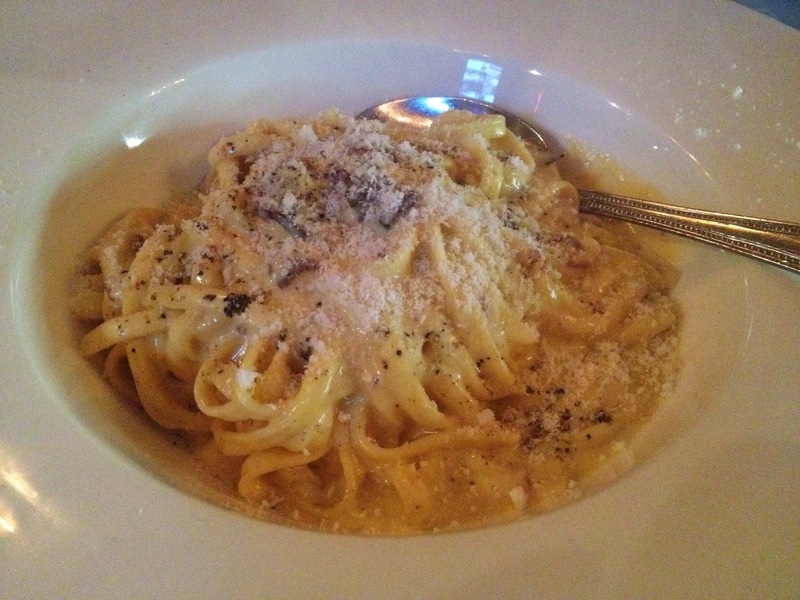 My Carbonara was creamy and the pasta was perfect. The panchetta was a little too salty, I couldn't eat much of it. I know it's supposed to be salty, but it took away from the other flavours. The portions are great, no one leaves there hungry! The rest of the menu looks fantastic. It's not long, but the descriptions make each one sound delectable. It doesn't make it easy to pick. Real Italian dishes, not the standard ones that are served everywhere. Try Marca! I'd love to know which dish I should try next!